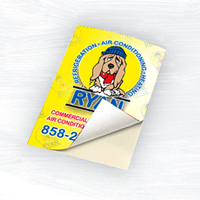 Paper Stickers Printed in Full Color with UV High Gloss Lamination. Full Color Foil Stickers, You Can Now Print The Rainbow in Foil and Stick These New Full Color Foil Stickers Anywhere! 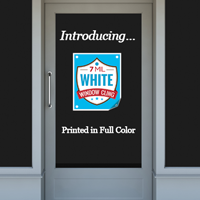 White Vinyl Stickers Printed on All Weather 4mil White Vinyl. Add 3mil Clear laminate for more durability. 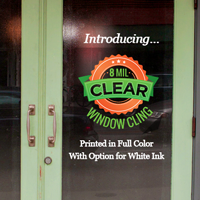 Clear Vinyl Stickers Printed in Full Color on All Weather 4mil Clear Vinyl. Intened for indoor or outdoor use. 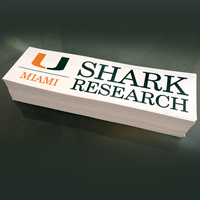 Vinyl Bumper Stickers Printed in Full Color on 4mil All Weather White Vinyl. White Static Cling Printed in Full Color on 7mil White Static Cling. Clear Static Cling Printed in Full Color on 8mil Clear Static Cling with Option for Printing with White Ink. Perforated Adhesive Vinyl Printed on 6mil White Flexible Vinyl with an option for a 2mil Optically Clear Laminate. 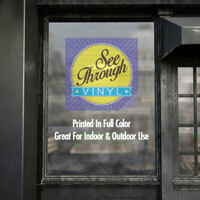 Adhesive Vinyl is Printed in Full Color on 4mil Vinyl. 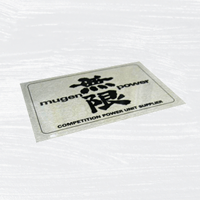 This removable sticker is ideal for interior application on most dry, clean surfaces. 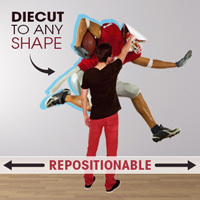 Low-Tack Adhesive Vinyl is printed for use on almost all surfaces; most walls, laptops, glass windows and is re-positional. 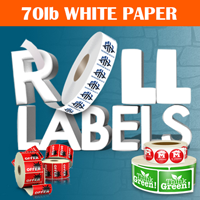 Roll Labels Printed in Full Color on 70lb White Paper Sticker Stock provided on a roll. Roll Labels Printed on 70lb Egg Shell Sticker Stock provided on a roll. These labels are condensation proof. Roll Labels Printed on White Biaxially Oriented Polypropylene Adhesive Sticker Stock provided on a roll. These labels are weather resistant. Roll Labels Printed in Full Color on Clear BOPP Adhesive Stock provided on a roll with option for printing with White Ink. 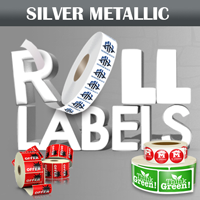 Roll Labels Printed in Full Color on Silver Metallic Adhesive Stock provided on a roll with option for printing with White Ink.